For this post, I will mention 3 of my favourite Make Up artist. I have all their contacts so you can just email me if you want to engage any of them. So my MUA(makeup artist) Meiling is from my Church fellowship cellgroup.. She is an ad-hoc/free lance make up artist and she have many years of experience. Most probably more than 5years? She learnt her skill of hairstyling from KIMAGE. Although she did not mentioned where she learnt her makeup from but her skills are pretty awesome. MOST Importantly she is very patient with me…. 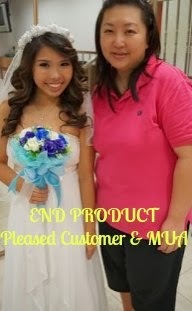 She is very different from other makeup artist. She is exceptionally friendly and jovial. 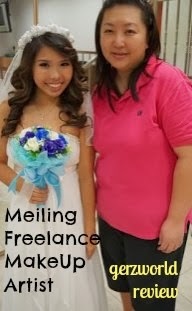 Note: Always find a friendly make up artist at least you can chit-chat with her. 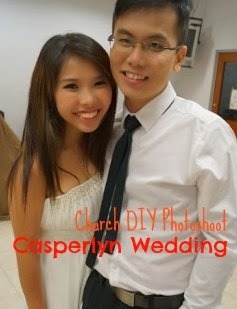 Don’t expect your groom to chit chat with you. For Fanny, our topic is on Taiwan Idol Drama. 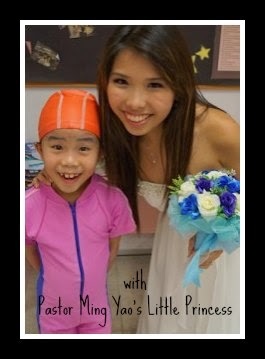 For Joyce, we talk about Singapore vs Taiwan cultural difference. 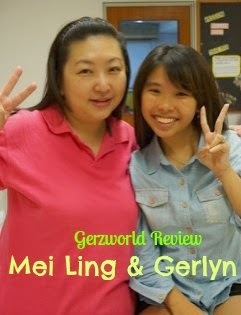 For Meiling, we talk about Make up tips and also shared about jokes. 1) She plucks eyebrow one by one… Usually makeup artist like fanny or joyce, they will just SHAVE it off for a quickie. 2) For the hair, she do small pieces by small pieces so the curl is very beautiful. 3) She charge us at a friendly price for 3 set of clothes. So i get to change hairstyle for 3 time. 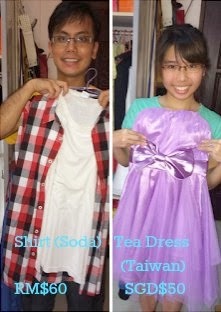 But due to time constraint, i only manage to do 2. As we started off late and the sun is setting plus the school has not much lighting. Note: Always start off Make up at 8am. That is what I usually went through with both Fanny & Joyce. 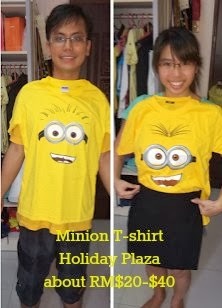 3) Despicable minion couple tshirt. This is the set we don’t have the chance to wear it. This is a shot before make up. 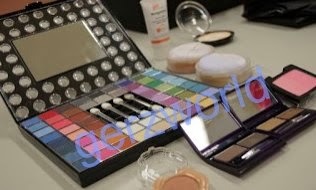 This is the set of make up palette that she is using. Most of them are from Faceshop. She seems like a Faceshop fan. 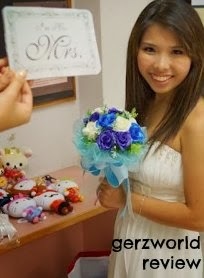 And her make up is quite Korean style – natural , simple and sweet. I don’t really like HEAVY makeup. Seriously, who does? So you see she pluck my eyebrow one by one because i am scared of pain… haha! And see, 1 side plucked and the other side unplucked. So a nice eyebrow design make a difference right?? Kiko look really carefully and closely on how to be a make up artist. 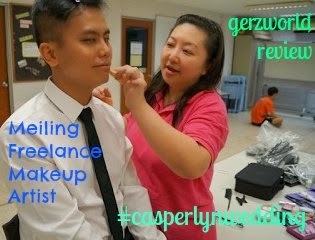 Meiling now doing some make up for Mr Casper. He seems really happy to be on the makeup. The reason i like him because he always seems happy with whatever we do to him. As you can see, Mei ling really goes to the details. So meiling is combing thru my hair to make sure it is TANGLE-FREE :) She is a perfectionist so rest assure that your hair will be in GOOD HANDS! This is the Iron Rod that she used to curl my hair. She is very skillful with that. Here we goes on with the veil.. 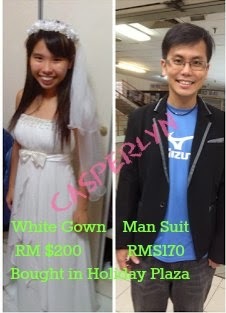 The veil is bought in Msia KSL it is just RM$39! This is outside the office of Paster Wang ping :) Nice place for a few shots right? 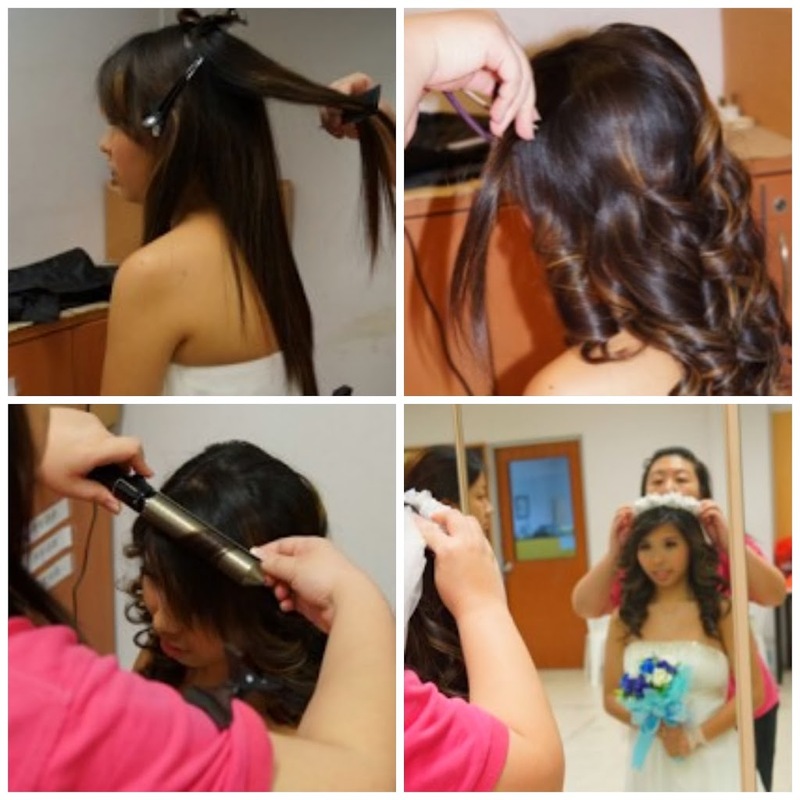 So u can see that meiling is zig-zag ling my hair :) Actually she is volumnizing my hair.. It is very important to keep talking to your Make up artist. Because through conversation, they will know your personality better and understand what kind of make up suits you better and what accessories is better for you. Attitude: 10/10 very friendly and approachable! Room for improvement? I think Meiling is pretty awesome but i think the eyebrow plucking is a little time consuming because i got thick eyebrow. But shaving is not really pretty. Side note: She is a virgo… means… PERFECTIONIST!! So don’t worry, she will turn you into a pretty bride.. You can contact her to see her portfolio if you want but I tell you, she is great so i can assure you that your make up and hair will be in GREAT HANDS! 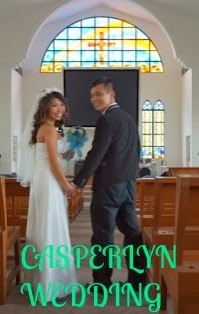 Hi Gerlyn, may I know where you get your wedding gown?